Really, the kindest thing to do about Yaël Farber’s Salomé is quietly to draw a veil over it. There is bad theatre and then there is very bad acting. Sadly, Farber’s Salomé falls into the latter category. I’d be the first to say, `let’s reclaim the forgotten women of history’, to name the nameless, to conjure the millions still undergoing bitter occupation, physical and mental. I don’t even mind parallels between the personal – Salomé – and her forgotten or hidden story – and other recent and ongoing occupations in old Judean sand. But when it comes to `art’ (with a small `a’) and theatre, please, as Hamlet might have said, suit the action to the word, the word to the action. Overstep not the bounds of modesty. 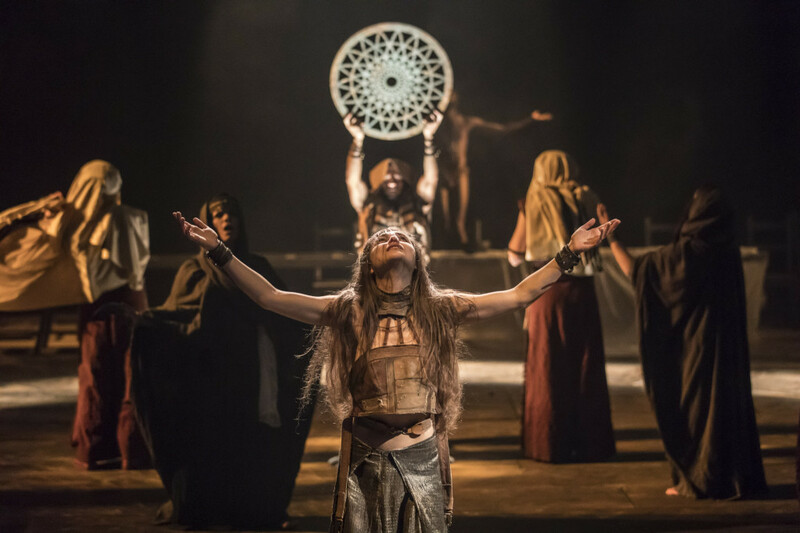 If only Farber whose magnificent productions of Arthur Miller’s The Crucible and Lorraine Hansberry’s Les Blancs have become touchstones in stagecraft in the past couple of years had remembered – or indeed even heeded his injunctions. But unfortunately, in her quest to `reclaim’ Salomé from Oscar Wilde, her reputation as the lustful destroyer of John the Baptist and to give her a voice’, histrionic pretension takes the place of style and banality hits the ground running in words. Why, Carol Ann Duffy’s poem, Salomé says in two minutes what Farber, plunging back into past and Old Testament history, strains for over 100 tortuous minutes. Overblown in nearly all departments (even when it comes to the two ululating women singers and composer Adam Cork), no wonder some of the cast looked as though they wished they were anywhere else but going through such grotesquerie. I felt embarrassed for them. This review first published on this site, May 11, 2017. 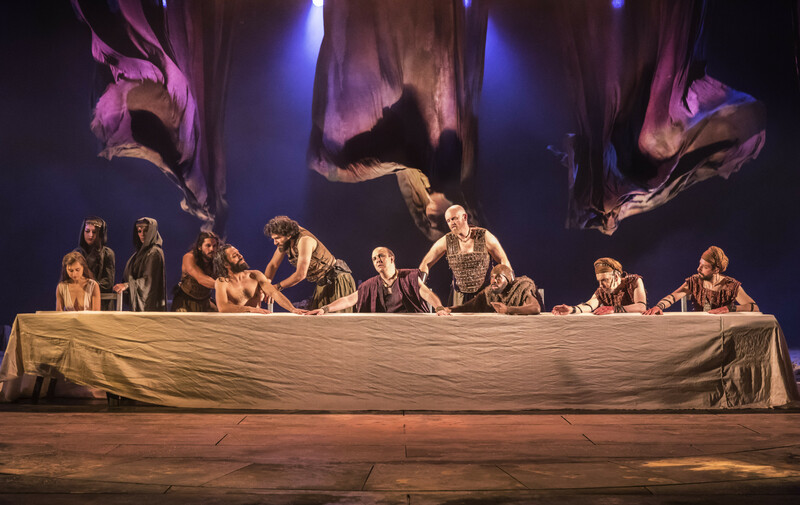 This entry was posted in 2017, Reviews and tagged John the Baptist, National Theatre, Olivier, Oscar Wilde, Salome, voiceless women reclaimed, Yael Farber on May 11, 2017 by Carole Woddis.